If you live in the city and you own a property, regular termite inspection in Sydney is a must. Termites are tricky creatures. They can do a lot of silent and invisible damage. That’s right, they could be eating away at your home right now and you might not have a clue. Unless, of course, you call the Bug Bloke! I’m here to keep pests at bay. By booking a termite inspection Sydney with me, you’ll ensure that your property stays in tip-top shape – and out of the nasty little jaws of termites. Why bother with termite inspection in Sydney? Believe it or not, 80% of homes in Australia are within 25 metres of a termite colony. Every single year, around 180,000 properties fall prey to attack. Regardless of where your house is, you’re likely to be at risk. That risk is even higher for those who live near forests, national parks, reserves or trees. 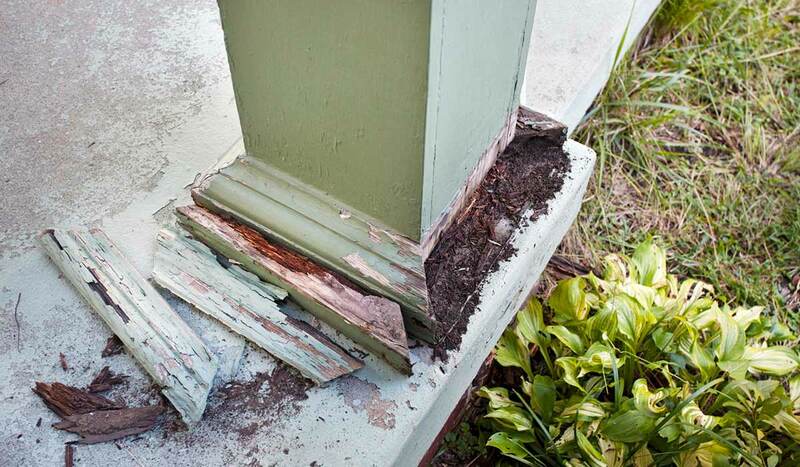 We’re lucky that Sydney is such a green city, but, unfortunately, the termites are lucky, too! Termites might be small, but they’re incredibly powerful – because they’re smart enough to hang around in large groups. Within a few months, they can eat away at significant amounts of timber. For you, that could mean thousands of dollars of damage. When you book a termite inspection Sydney, you reduce the risk to your property. I’ll either make sure your property is termite-free – so you can rest easy – or catch termites before they get very far and banish them completely. By investing in regular inspections, you can forget worrying about termites and get on with enjoying your life! For more about our termite treatments click here. I’m proud that my excellent track record has won the trust of residents throughout Sydney. Ever since getting into the pest business, I’ve been passionate about doing my job to the highest possible standard. Every single inspection I conduct is thorough, accurate and meticulous. Not a single section of your property will be missed by my careful eye – helped by my state-of-the-art gear including thermal cameras and termite search dogs. Is the thought of termites making you anxious? Are you wondering if you need a termite inspection in Sydney? Would you like an obligation-free quote? Please call the Bug Bloke today on 0414 232 073. I look forward to meeting you.